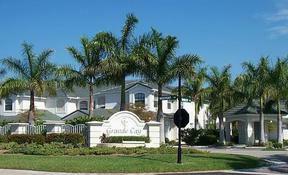 51 - Grande Cay - 2nd Floor Awesome lake view - immaculate condition! Nice custom window treatments & tile throughout. Owner's suite with private bath. 2 Guest bedrooms with additional Jack & Jill Style bathroom. Can use one of the guest bedrooms as a den or office. Laundry room with full size washer & dryer. Formal dining as well as a dinette, living room & sitting area. 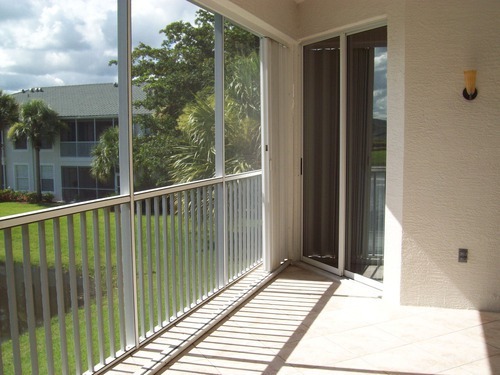 Lanai overlooks private lake making for peace & tranquility. 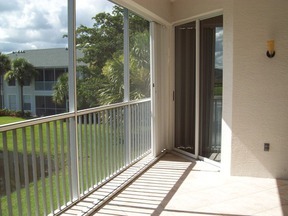 Hurricane shutters on the lanai.